DISCOVER SUMMER WITH JULY 29 STEWART CLIFFORD GALLERY ARTCETERA PROVINCETOWN POP UP HIV/AIDS FUNDRAISER! Join us at Stewart Clifford Gallery on Sunday, July 29 for brunch bites, bubbles, and the best in contemporary art – all the fun of Provincetown and ARTcetera combined! Pop Up attendees will browse fantastic art and learn about this year’s ARTcetera art auction being held in Boston on October 27. Additionally, 10% of all sales during that weekend will be donated to AIDS Action. ARTcetera is a biennial art auction benefitting programs and services of AIDS Action, a leader in the fight against HIV/AIDS. 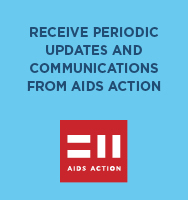 Since 1983, AIDS Action has been providing health and wellness services to HIV positive clients, conducting cutting edge prevention programs, and advocating for fair and effective AIDS policies. “ARTcetera is a wonderful way to support AIDS Action and to celebrate the world of art. Provincetown has a long history as an artist colony, which makes it is so exciting for me to welcome ARTcetera to town! In addition to hosting this wonderful event, I will be donating 10% of all art sales that I make that weekend to support HIV programs and services at AIDS Action,” said Stewart Clifford, owner of the Stewart Clifford Gallery and host of the ARTcetera Pop Up. Exploring the natural world through the visual arts and photography, Stewart Clifford Galley represents a variety of artists, including: Jennifer Clifford Danner, Jeff Osmond, Jan Donley, Nicholas Peterson, Christopher Roddick, and Max Mattei. Custom greeting cards featuring the work of the artists are available at the gallery. Shows of new work are scheduled from June to October. AIDS Action is New England’s largest provider of services to people living with HIV/AIDS and populations at risk of infection. AIDS Action leads the state’s Getting To Zero Coalition, which seeks to reduce the number of HIV infections to zero and operates a needle exchange that serves as an entry point to healthcare services for active substance users. In 2013, the AIDS Action Committee of Massachusetts became a part of Fenway Health, which works to make life healthier for the people in our neighborhoods, the LGBT community, people living with HIV/AIDS and the broader population.